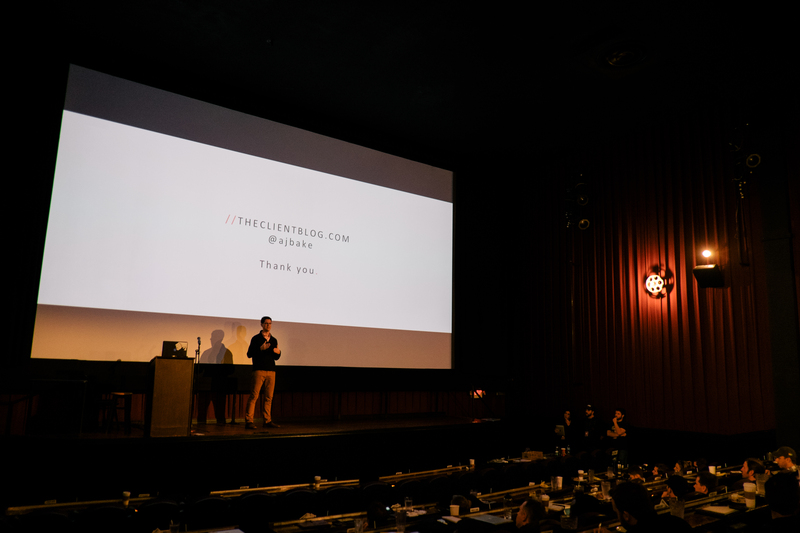 This is part one of a six part series on the Client Blog, “The Art of the Thirty Second Story.” (See HERE for more details) In this first post, I will cover the recent Masters in Motion conference in Austin Texas – an incredible 3 day filmmaking event that brings together some of the great minds of cinematography, photography, editing, and production. I was fortunate to be asked back this year and I spoke about thirty-second storytelling. Because I covered a good deal of ground in that presentation, I will not attempt to recap it all in one post – hence the 6 part series! Thanks to everyone for the continued sharing and great feedback I get on this blog. As I’ve said before, it’s a purely passion-based project for me to share insights and content with the creative community, so thanks for your help in sharing with others in your network. And now…off to Austin! Held every year in Austin, Masters in Motion (MIM) is really a special event, and the brainchild of Jon Connor and Crisina Valdivieso. 100 people gather to learn, be inspired, and network with other like-minded creatives. 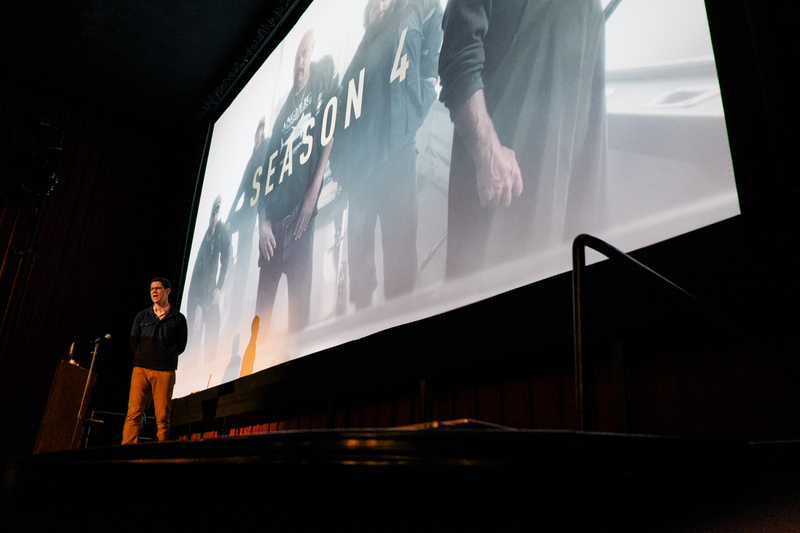 This year’s event brought some pretty distinguished names, with Dean Cundey, ASC, Bonnie Curtis, Matthew Jensen, ASC, Sandra Adair, Todd McMullen, Salomon Ligthelm, Khalid Mohtaseb, Joel Edwards, Joe Simon, Ryan Connolly, Ryan Booth and Alex Buono all presenting incredible insights and takeaways for the audience. 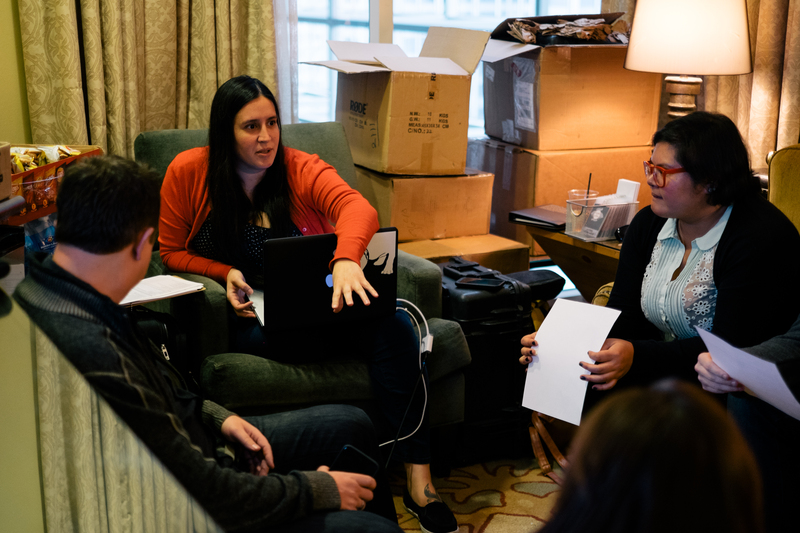 There is a ton of work that goes into this, and for Jon and Cristina and the dozens of volunteers and staff who help bring it together, you can really feel the love they have for what they do. What’s unique about the event is also the diversity of how it’s broken apart. On day 1, there are talks at the Alamo Drafthouse (this is where I spoke, the first presenter of day 1), which is more lecture-style followed by Q&A. There are lots of great videos shown since clearly a movie theatre is well outfitted to show great visuals! 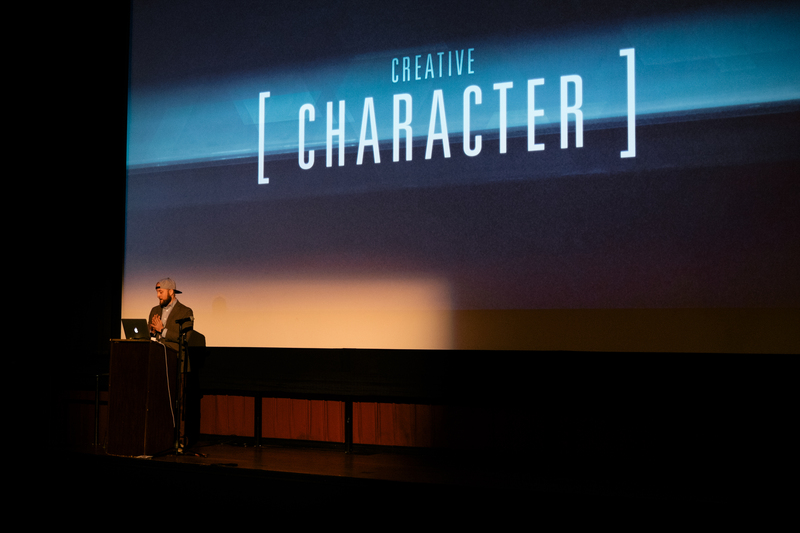 Joel Edwards of Evolve speaks about ‘Creative Character’ on day 1 of Masters in Motion. Day 2 is the workshop day, with the 100 attendees (they wisely capped it at 100 tickets to keep it feeling a little more intimate and hands-on) split into 4 smaller groups of 25 that go from one hands-on session to the next at the hotel. The four sessions were all very different, and super relevant. There was Matthew Jensen, the DP of Game of Thrones (and many more) who broke down lighting in films over the last 50 years, and then re-created a scene from GoT and showed how he approached the lighting. Yes, please! 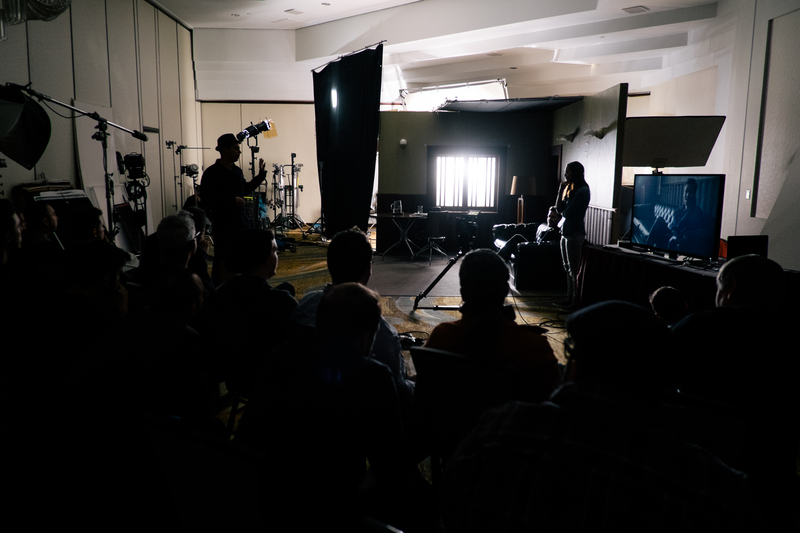 The second workshop I attended was with Khalid Mohtaseb, who was discussing commercial lighting – refining light for a scene and showing how different tweaks could affect the overall light quality. Khalid’s passion for lighting always comes through and is a big crowd favorite for sure. I loved how this year he jumped right into the lighting portion, without too much discussion or video-showing. Give the people what they want! Next up was one of my favorites, a session on documentary filmmaking and lighting with Alex Buono. I always love to see Alex’s presentations as he is someone I really look up to in terms of how he lays out his content, and presents it. He’s got a great flow and encyclopedic knowledge of films, I feel like I always walk away learning so much. 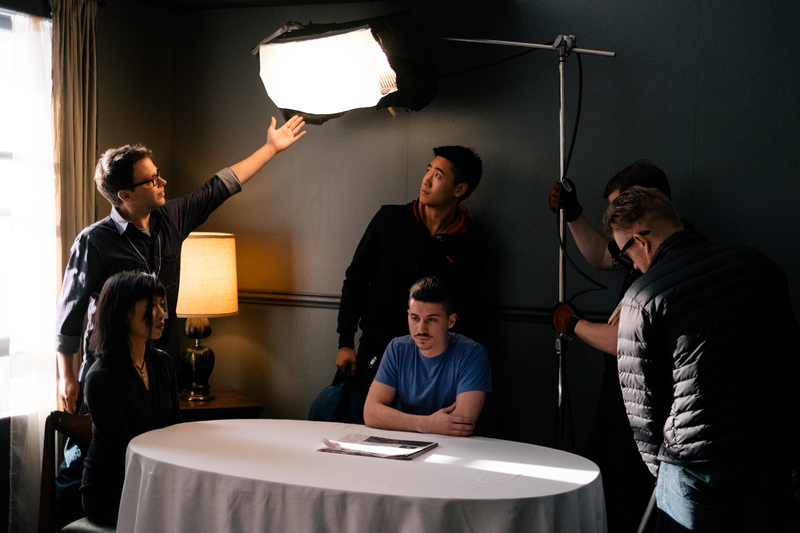 One of my big takeaways from his documentary lighting workshop – which focused on situations where you have little time, few lights, and perhaps a crappy location (someone’s office with a huge window, for example) was the idea of negative fill. It’s very basic, and of course I had an understanding of what it was, but seeing him put a few small pieces of black flagging in the right locations showed how simple it can be to contain your light perfectly. 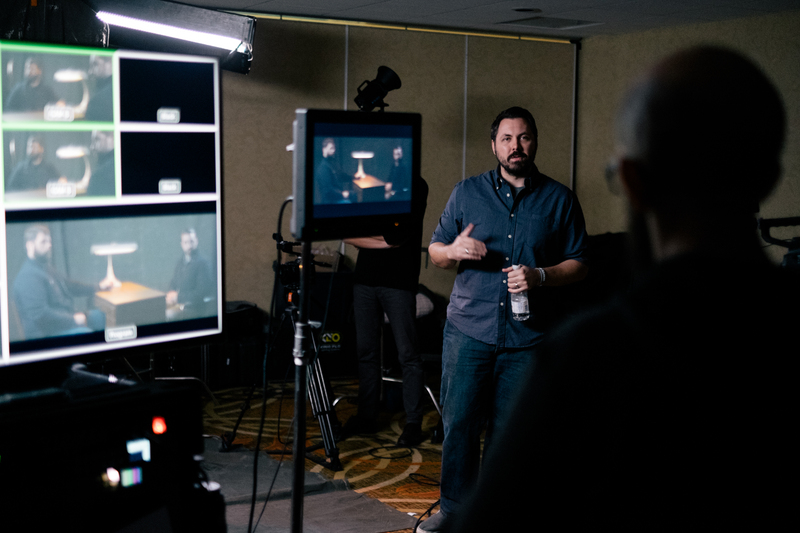 Last up was Ryan Booth and Ryan Connolly, who talked about multi-camera setups. 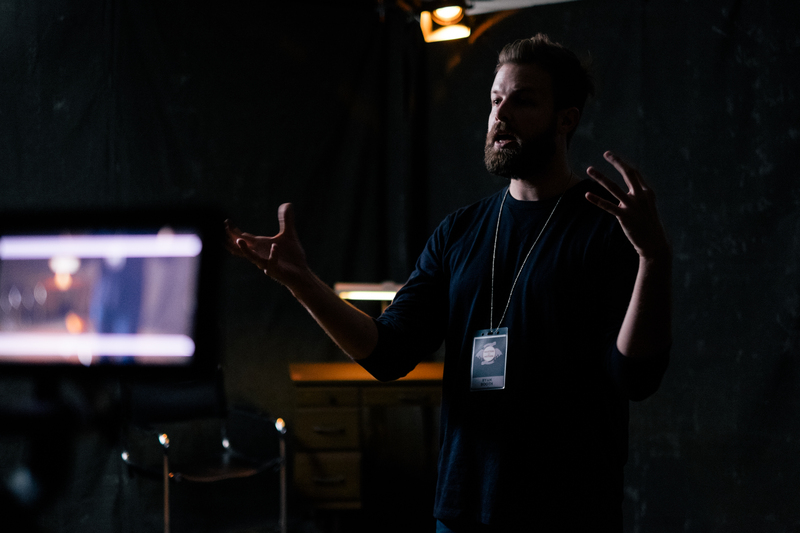 Ryan C live-directed two actors playing out a scene and showed how having 3 cameras allowed him to tell the story in a very simple manner. Seeing him make subtle shifts in camera cuts and actor direction was cool to see on the fly. He showed how subtle camera shifts, actor performances, and camera choices can affect the viewer’s end takeaway. Ryan Connolly directing a multi-cam setup. Photo by Evan Bourcier. And Ryan Booth’s was about live multi-camera shooting for music. 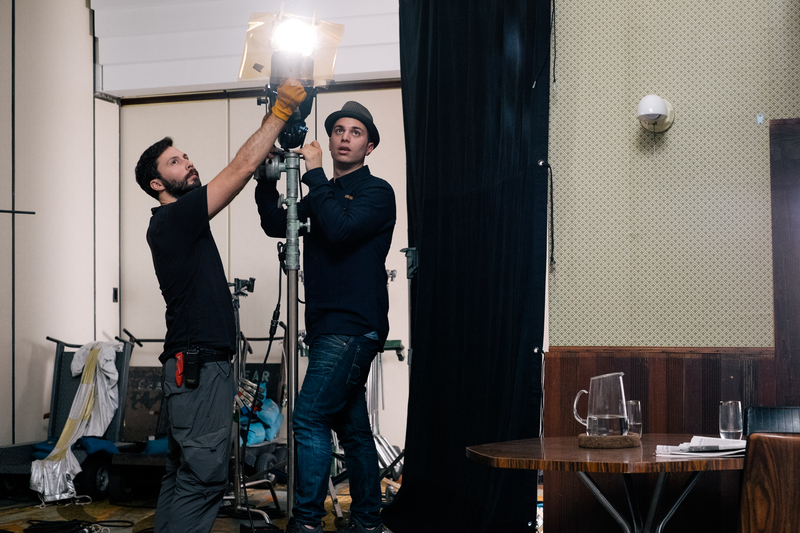 It’s what he does with ‘Serial Box’ all the time – directing what he calls an “MTV Unplugged for this generation.” It was really powerful to see how he was able to really create and set a mood through 3 cameras shooting musician David Ramirez’ performance. Goosebumps were achieved and it was the perfect way to close out the day. What was so cool to witness was the passion and enthusiasm that all these guys have for what they do – such great energy. Day 3 of MIM took us back to the Alamo Drafthouse, and had big hitters like Dean Cundey, the DP on Apollo 13 and Jurassic Park, dissecting his own work and giving a peek behind the curtain for how he was able to create those seminal works at a time when big CG films were not the norm. 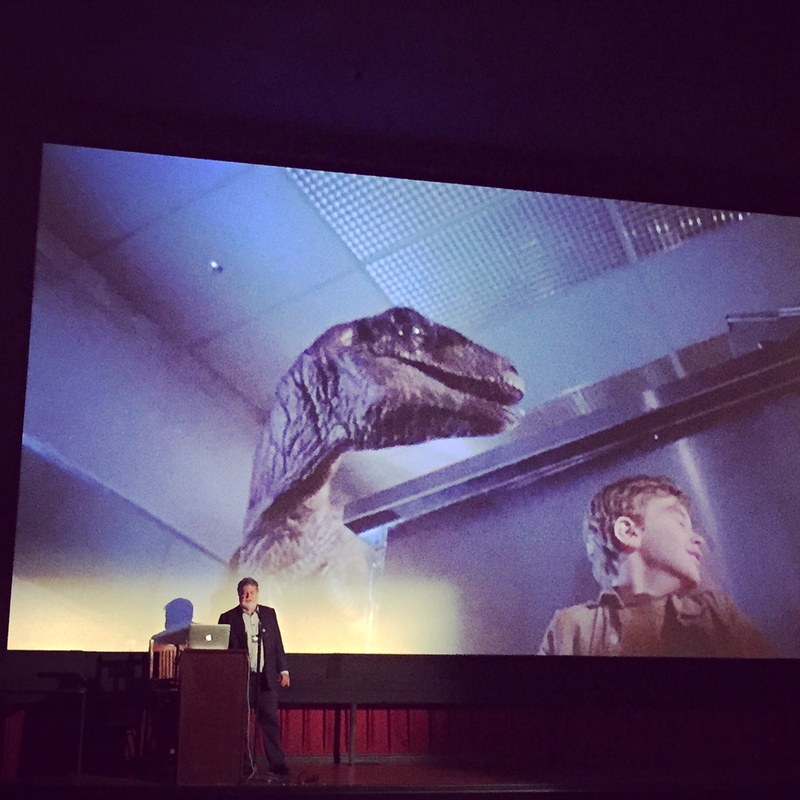 Dean Cundey ASC breaks down an iconic moment from Jurassic Park. We also got to hear from Sandra Adair, who is the Oscar-Nominated editor for all of Richard Linklater’s films – including “Boyhood”, the odds-on favorite for best picture/director honors – who talked about her history and process, which was a treat. Of course there were so many presentations, it’d be hard to get through them all but needless to say it was an inspiring 3 days and I saw some really incredible work and saw what it took to bring it all to the screen. Last year, I had to leave after day 1, but this year I got to soak it all in, and it was well worth it. I’m already looking forward to next year! Me, on-stage at the Alamo Drafthouse. THE FIRST CHAPTER OF MY STORY. It’s ok, you can laugh. It’s lovably terrible. So one day my boss sat our creative team down in a small conference room and said “I want you all to write a story. It shouldn’t be about anchormen, or weather coverage…just tell a story.” And so we all wrote a story…and then we came back and each person read someone else’s story out loud, randomly chosen from a pile – and we all listened to some great stories. I think mine was about the perspective of someone looking back on his life before he died, and you didn’t know that he was actually a dog until the very last sentence. (very M. Night Shyamalon) Anyway, that exercise changed my entire perspective – I started to focus not on spoon-feeding the audience or forcing my perspective on them, but rather about telling stories. And ever since that exercise some 20 years ago, I still just want to tell a story. And have people lean in rather than tune out when a promo I’ve worked on goes on TV. Whether you’re telling a :30 story or a 3 hour one, there are still universal truths to the storytelling process that should be reinforced. Ultimately, you want people to watch your films and be affected by them. Or, you just want potential clients to hire you to tell THEIR story…and you want to grab their eye and attention with your own work. So, telling short stories is and getting people to either care about the show, or want to watch more of it – that’s all I do. My ‘films’ are just :30 long – and if people don’t see them or don’t care enough to want to take action (watch the show) then I have failed. Now, you may never actually need to create a :30 promo, but I believe that if you apply some of the same principals from what we do in marketing to your film or your content, it will improve your end product. And maybe more people will see it, too. Because half of the battle of getting people to want to watch it is by ensuring that it’s as appealing as possible to many people. 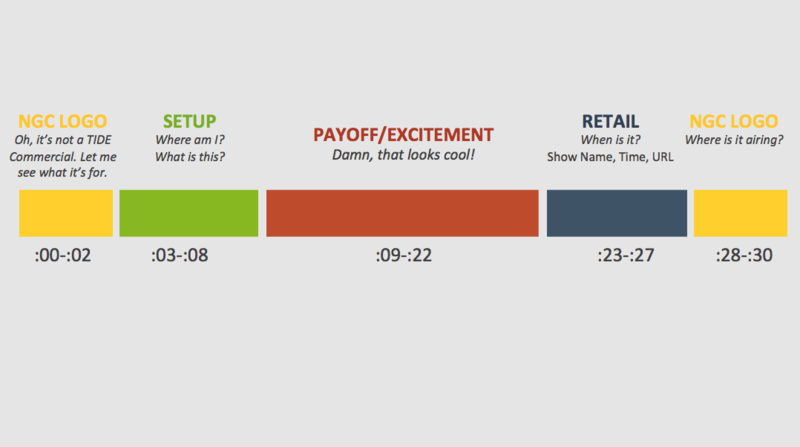 Whatever it might be, learning about the short form storytelling devices could help you. The times have radically changed in media since those days when I worked on Super Doppler promos. There are new content distributors, new challenges, more channels, more media disruption – we are inundated with content, media, messages across every possible platform, at every waking hour of our lives we are bombarded with something demanding our attention. 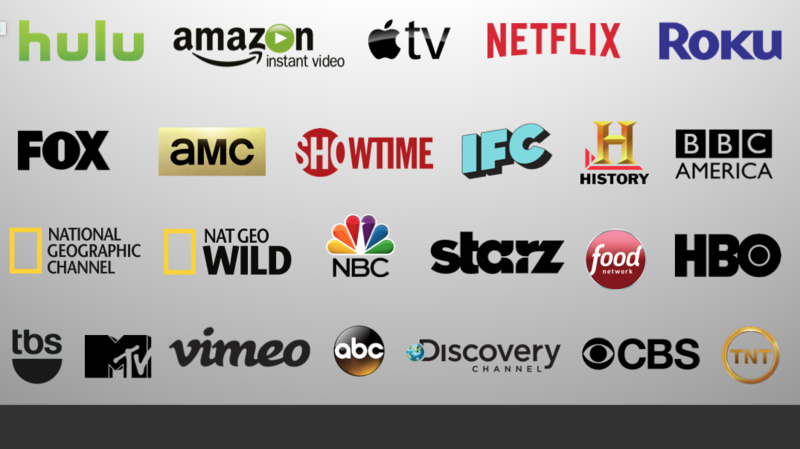 Between the linear broadcast channels and digital devices streaming incredible content, it’s clear that this is an era of choice for consumers. And how we all do our jobs has changed quite dramatically with that. You simply have to approach things with that in mind when you’re competing with the bevy of choices in the media landscape. Well our job in marketing is to sit next to all of that disruption and chaos, and tell a story and demand attention. 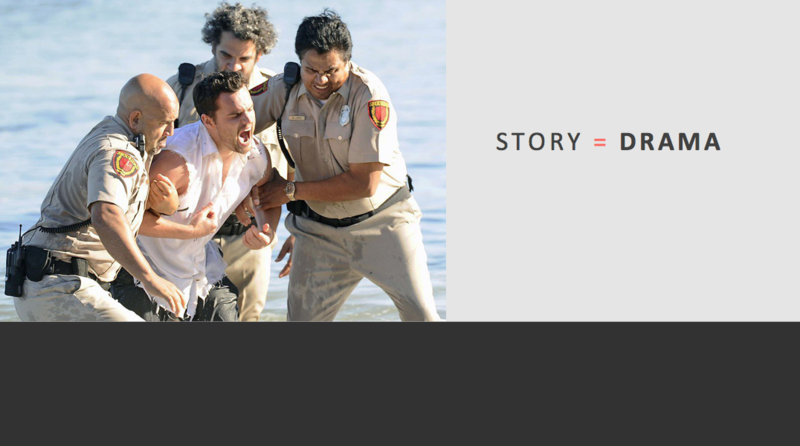 And the way we do it – is by telling stories. As human beings, we crave stories. There are so many things going on in our lives, so much data, and science, and apps, and media. So we look to stories to bring order to that chaos. To transport us to another place, to escape the din, to inspire us. And more often than not, that’s what Television, film (and now, the internet) does – it fulfills a basic human need for stories. And through stories we understand, and get to know, our world and our own lives. Because today’s viewer demands that it’s not enough to shout at us or lecture us, or tell us what to do. Playwright David Mamet said the audience will not tune in to watch information. They want to watch drama. You must make them interested, tell them something new, reveal a mystery, give us meaning. THAT is what will get the audience to care. And that will always remain a constant. 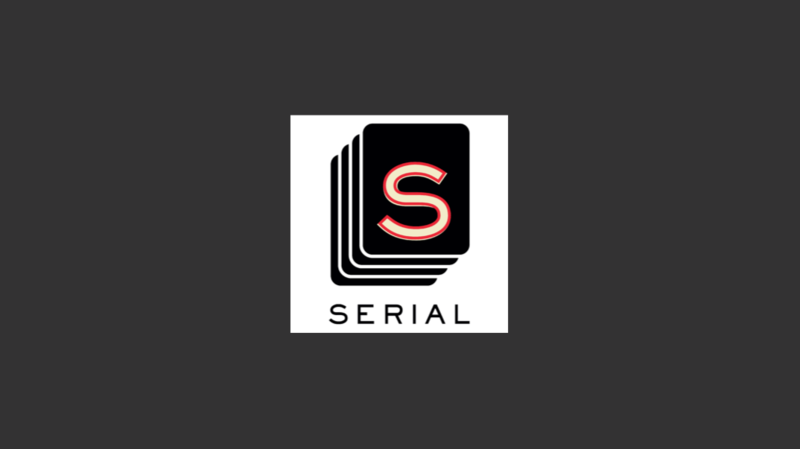 Look at the Serial Podcasts. It’s just an incredible story, with inherent drama and mystery, and it captivated the country, (and arguably still does as even though the story is “over” as updates and follow up interviews continue to spread) and after years of podcasting was the first truly breakout hit in that medium. Because it’s a great story. And the big brands get it too. The Emmy-winning commercial by Apple last year is a great example. It was the ad – posted below – with the disgruntled millennial constantly on his iPhone while celebrating the holidays with his family, and then (spoiler alert) his big Christmas gift was that he was actually videotaping the whole time and then edited a touching film about it all. The lesson being that technology is not a barrier to connection but a conduit – and the iPhone is your ultimate storytelling device. They didn’t ever talk about the camera or the technology, the lens or storage space, they just told a story. Very effective. The beauty too, is that Apple not only told a story – they told a story about a character telling a story! THINGS A PROMO MUST DO. Make viewer aware of our show – awareness is everything. Explain what the show is about – they still do need to know what the show IS. Say where the show airs (our channel) – confusion amongst viewers about what channel they’re watching is a pretty common issue, especially in non-fiction TV. Say when the show airs – DVR’s have changed the industry, but live viewing is still the bread and butter for ratings. Make sure they know we’re active on social media talking about the show – viewers want to interact with the show and the cast. Make sure they know the URL on the Channel website – our websites are robust content portals with BTS, interviews, photo galleries, etc. Make sure it feels different or unique – there are a ton of shows about Alaska – how is THIS one different? Make sure it looks visually memorable – it’s a brand hallmark, and needs to look high quality. Make sure it’s on brand – viewers have a high bar (as do we) for our brand, we need to make sure it lives up to that. Make sure it’s worthy of their time – with all of the choices they have to make, why is this show worth their time? Make sure it emotionally connects – this is like the David Mamet drama note – people want to feel emotionally connected, it’s what will bring them back for more. Make sure it tells a story. And you need to do all of that in just thirty seconds. That’s a lot right? But that’s the reality of promo storytelling – it’s got to be a balance of story and message, just like what you all try to do…and it’s got to be easy on the viewer. They shouldn’t have to work too hard to understand what we want. So how do we do that? Often, it’s by following some simple structural tenets. :00-:02 – this is where we make sure we add some branding or a nod that this is about to be a promo you’re going to see. It’s not unlike movie trailers when you see that studio logo. :03-:08 Setup – you better grab ‘em quickly! This is where you draw them in. :09-:22 Payoff/excitement – the rubber has met the road here, it’s time to deliver on the setup and give them some drama, laughs, goosebumps or excitement. :23-:27 Retail – at this point, we have to start checking boxes – making sure we say the show name, when it’s on, the website info, etc. :28-:30 NGC logo – this tells them where it airs. Very important because we often get confused with one of our competitors! So you can see, there’s a lot that has to happen to make an effective promo. And that focus and economy of words, messages, and story are critical. 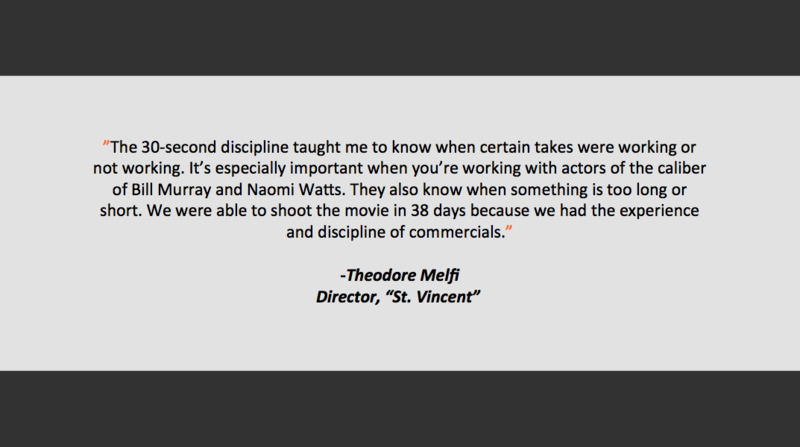 And on top of that, there are still some key things that should always be kept top of mind when approaching a 30 second story. These are the sort of from the 30,000 feet perspective – before you tell your story, what to always keep in mind. 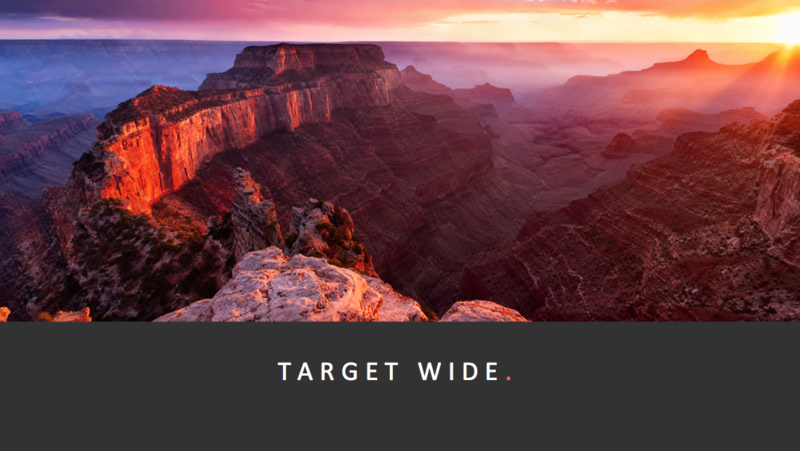 The first to consider in terms of what WE have to do in the Cable TV space is TARGET WIDE. We have to appeal to as many people as possible, and in doing so, we always have to be careful to make sure that our quest to reach as many people as possible doesn’t water anything down where it also means nothing. 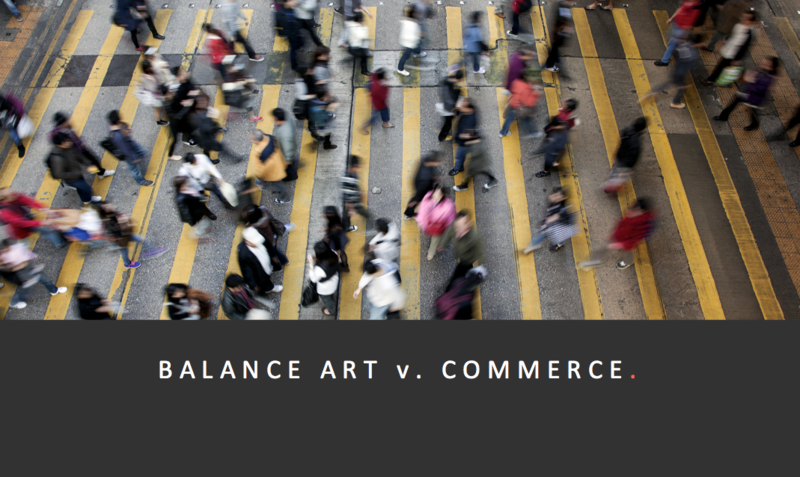 The second thing you must constantly think about along the way is to always understand the balance of Art and Commerce. At the Channels we are here to get viewers, to inspire them, to engage them to make a difference – and do it all as artfully and intelligently as possible. But before you can inspire them, they must want to watch! SO you must make something artful and engaging, and unique – but you must remember what you are trying to communicate and not get lost in it. 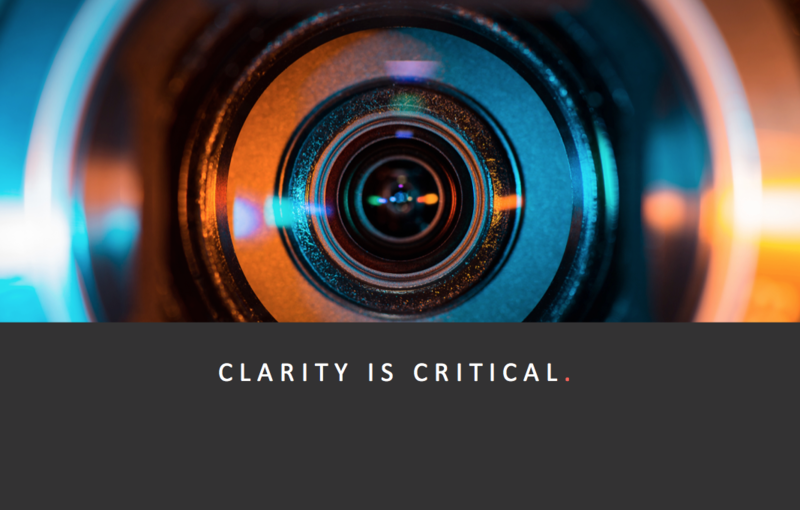 And last, clarity is CRITICAL in a successful promo or story. We’re competing with hundreds of other channels for attention – just like you’re essentially competing with other filmmakers to tell your story. Make sure your story is clear, and people can understand what you want them to. You can make the artiest promo in the world, but if people don’t know what it’s for, it’s ultimately pointless. 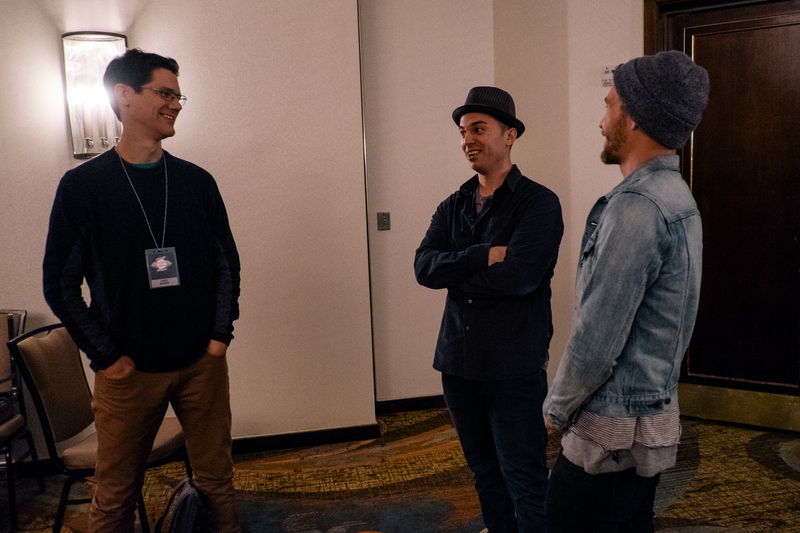 Another big thank you to Jon and Cristina for hosting me at MIM this year, and to Evan Bourcier for all of his great BTS shots from the event that were in this post and several upcoming ones. 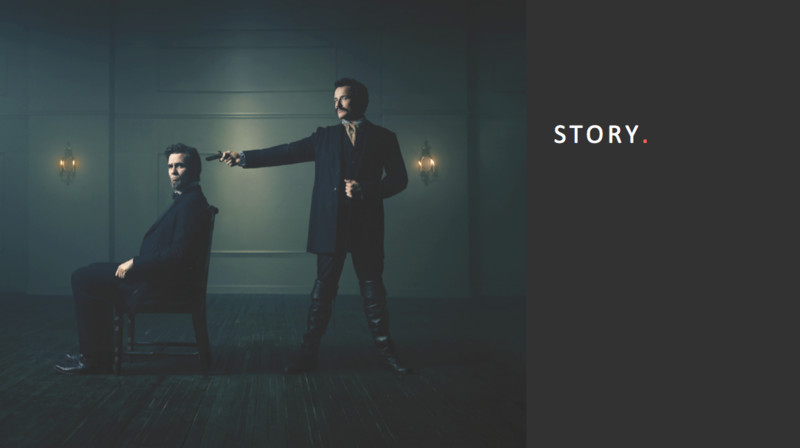 I will be dropping the other five blog posts from this storytelling series every Wednesday for the next 5 weeks. That’s right – 5 Client Blogs, 5 weeks in a row! And that doesn’t include some other posts I’m working on for other ongoing Nat Geo projects…so stay tuned and thanks again for reading! Bravo Andy, bravo! This is so wonderful – thank you!